As New Zealand’s European population increased in the 1870’s the number who were unable to vote increased. Young tradesmen, along with many of those who worked in banks, offices, and factories lived in boarding houses, so were not included in the householders’ franchise. Farmers’ sons were also often ineligible. 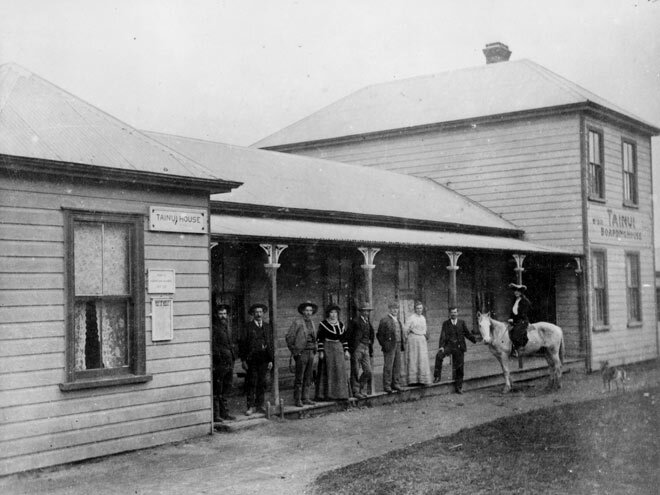 Extending the franchise to these men, such as the ones who would have lived in this boarding house at Mōkau, was generally supported in the 1870s.